In addition to providing a quality printed product, we also offer comprehensive mailing services tailored to your specifications. We work with you to determine the best option for your project – whether it be utilizing an existing mailing list or offering assistance in the creation of a new list – we have the resources to get the job done. Postage rates vary between bulk mail and presorted first class, but are based on how many pieces fit into similar zip codes. 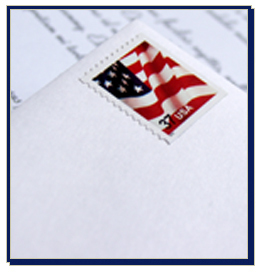 We sort many mail pieces each day and are able to get the lowest possible postage rates. Quick turnaround time and excellent accuracy are the main advantages to using Fine Print Graphics for all your mailing needs. We have daily UPS pick-up to accommodate our out of state customers. We also contract with several trucking firms to ship larger orders as needed. Careful quality control is done on all products before they leave our shop or warehouse.